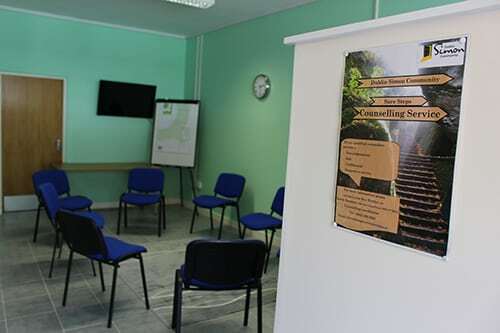 Following the initiation of their Sure Steps Counselling service in 2012, the charity saw the need to expand the service and secured a location in Dublin 8 to facilitate the increasing demand for counselling support. “The expansion of our Sure Step Counselling service is in response to the high demand for this vital mental health support. In 2015 we saw a 71% increase in the numbers accessing this service, where we provided 1,712 hours of 1:1 counselling and mental health support to people in our services. Between 2012 and 2015, 659 cases were received by the Counselling and during first six months of this year it received 167 referrals. 1,712 hours of 1:1 counselling and mental health support provided in 2015. Between 2013-2015, 70% of clients were male and 30% were female. Between 2013-2015, reasons for attending were highlighted as needing support for Mental Health (32%), Addiction (30%), Grief/Bereavement (19%), Relationships (7%). Find out more about the services provided by the Simon Counselling Service. Support Simon and services like the Sure Steps Counselling Service by clicking here.